Quick picture of the Moon with the telescope balanced on a railing. Didn’t trouble getting the mount out. 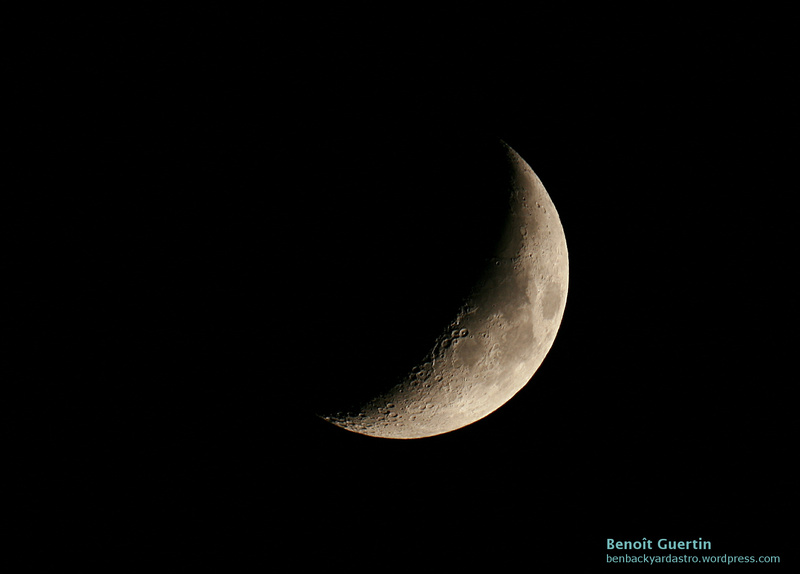 This entry was posted in Photo and tagged Astronomy, Astrophoto, Astrophotography, Moon by Benoit Guertin. Bookmark the permalink.